Recent statistical information obtained through a Freedom of Information Act (FOIA) request shows a very high denial rate for petitions for Intracompany Transferees of Specialized Knowledge Capacity (L-1B) filed with USCIS, and that Requests for Evidence (RFEs) are very common. These statistics also show the troubling disparity in adjudications between the two Service Centers responsible for adjudicating L-1B petitions. L-1B is a nonimmigrant status that allows a qualifying company abroad to transfer workers to the US to work for its parent, subsidiary, or affiliate company. The individual being transferred must, within one of the preceding three years, have been employed abroad for one continuous year with a qualifying organization in a position requiring specialized knowledge, and must be coming to the US to work in a specialized knowledge capacity. This type of petition is ordinarily filed with the United States Citizenship and Immigration Service (USCIS). Depending on the job location, the petition is routed to either the California or Vermont Service Center for adjudication. The Service Center adjudicates the petition and either issues an approval, an Request for Evidence (RFE), or a denial. Based on this definition, one might believe that the L-1B is a viable option for many positions with US employers. However, the USCIS interpretation of what constitutes specialized knowledge is beyond murky. Recent L-1B RFEs attempt to distinguish between “special knowledge” and an “advanced level of knowledge”. They require special knowledge to be established as being distinguished, noteworthy or uncommon. An advanced level of knowledge, on the other hand, must be established to be at a higher level than others, beyond the elementary or introductory, or greatly developed beyond the initial stage. USCIS’s RFEs also recognize that most employees today are highly trained, but then state that it cannot always be concluded that all employees performing highly technical duties are eligible for L-1B. While they concede that the knowledge possessed need not be proprietary or unique to meet the definition, they do indicate that it must be “different or uncommon”. Although no test of the labor market is required, USCIS does take the position that it must be established that the knowledge possessed by the beneficiary is not general knowledge held commonly throughout the industry, but that it is truly specialized. That’s pretty clear, right? Excerpt from a Request for Evidence issued for an L-1B petition. 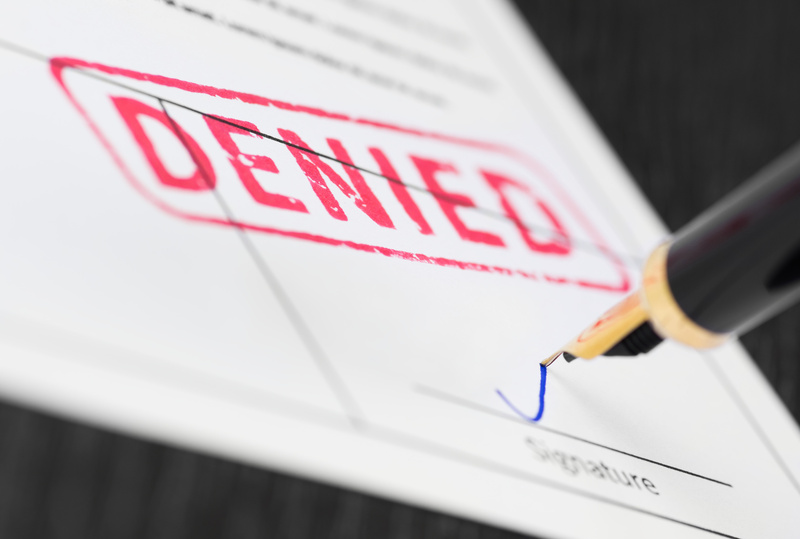 Not surprisingly, the statistics show that denials are quite common for L-1B petitions. For Fiscal Year 2013, of the 17,723 L-1B petitions received by USCIS, 11,944 of the petitions were approved and 6,242 were denied (a 35% denial rate). In 2012, 18,740 petitions were received and 6,068 were denied (a 32% denial rate). The statistics also show that a petition for L-1B status is very likely to result in an RFE. For FY2013, 47% (8,363) of L-1B petitions filed were issued RFEs, up from 46% in 2012. In addition to the high denial and RFE rate, the statistics show that disparity in adjudications exists between the California and Vermont Service Centers, with Vermont having slightly lower rates of denials and RFEs. While over half of L-1B petitions filed are eventually approved, petitioners should be aware of the difficulties involved in filing an L-1B petition. We know from experience that a successful L-1B petition requires extensive documentation to make the case that the position fits the definition of specialized knowledge. If you have questions about filing a petition for L-1B status or employment-based immigration in general, the attorneys at Minsky, McCormick and Hallagan, P.C., are prepared to assist you.